Receiving each and every guest as dear family coming home from afar is at the core of Grecotel’s philosophy of hospitality. Deeply ingrained in all its people’s hearts, this principle translates into a warm, genuine welcome and an authentic Greek heartfelt hospitality experience throughout Grecotel’s guests’ stay, where every effort is made to offer them the best holidays of their lives. 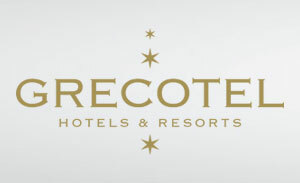 Impeccable service of the highest standards is the second cornerstone of the Grecotel culture. Aiming in providing the best possible experience for its guests, no detail is left unattended by Grecotel’s highly skilled staff, from the crisp linen at the a la carte and buffet restaurants, to the variety of pillows in the guestrooms, suites and villas, to the manicured lawns and colourful gardens, to the attention, discreetness and sincere interest with which each guest is served and its preferences remembered and satisfied. And finally, a deep commitment to the communities Grecotel’s properties are in, constitutes the third cornerstone of its culture: having chosen beachfront locations of superb beauty and history, Grecotel works tirelessly to preserve the natural environment around them; at the same time it makes every effort to hire locally and invest in its people’s long term professional development and advancement, creating highly skilled hospitality professionals that add to the community’s capital. For over 40 years Grecotel Hotels and Resorts has led Greek tourism and is today Greece’s premier group of hotels and resorts.